Embalex, industrial packaging for shipping and air transportation. We are the undisputed leader in the logistics and transportation sector, specializing in total packaging. With own packaging know-how of capital goods and a perfect relocation of the factory. Founded in 1918, Embalex is a worldwide reference company in the context of industrial packaging, which puts at your disposal 100 years of experience. We devise, design and manufacture all kind of wooden, cardboard or hybrid packaging, suitable for the weight and volume of the pieces or equipment to be contained by each customer, offering the maximum protection in the transportation and logistics operations of the packaged products. 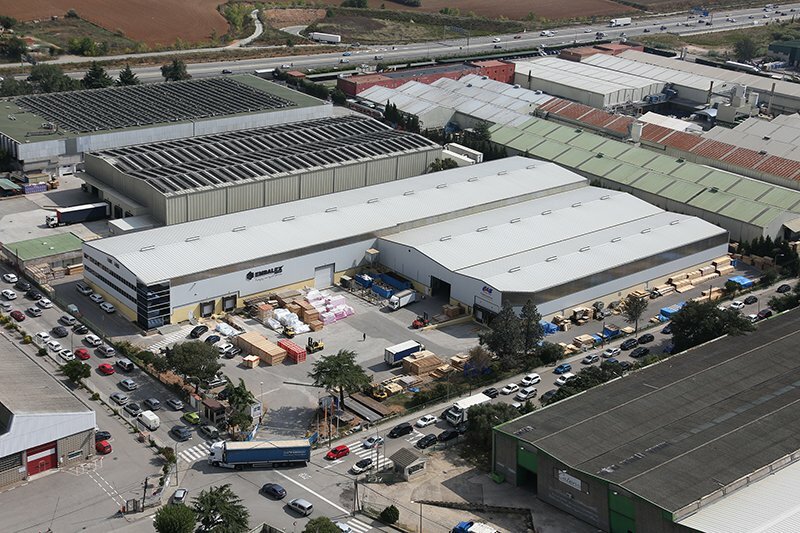 Thanks to the advanced technology that the company has in its new facilities of 26,000 m² in the town of Santa Perpètua de Mogoda (Barcelona) and its 70TN cranes for the movement of large machines, Embalex is currently the leading company in the packaging sector for equipment and machinery for export, by air, land or sea. A comprehensive service "turnkey", which includes from the collection of machinery in the customer's home, its location in containers and the most suitable packaging to their needs. Our continuous investment in research and development and the strength of all the companies that form the group, mean that only Embalex can carry out any kind of project, however large and complex it may be, with total quality. Our commitment to continuous improvement and quality of our packaging and services is supported by our integrated quality management system with the three certifications ISO9001:2015, ISO14001 :2015 and OSHAS18001, our experienced team of highly qualified engineers and technicians and the realization of optimal and efficient production means. We develop innovation coming ahead of a world that is progressing faster and faster.